Stay tuned, the first coat of International alkali Resistant Sealer was put on today, 16 hours to dry then I am putting on another coat on Saturday, Repainting with Dulux one coat emulsion on Sunday if all goes well. I will give it about eight to ten days before reporting here if it is successful or not. A two and a half litre tin cost me £14.99 on ebay (free P&P) arrived next day ;) room size is 15foot by 12 foot and I had a quarter of a tin left. Took three hours to do, and the oily smell is heavy, so advise mask and goggles. The sealant is on the thin side, so we masked off the walls with thin plastic sheeting (available on a roll from buildbase ect)and masking tape. Carpet also protected with the same plastic. We can but hope.will keep the forum posted. As I said in my previous post about the Alkali Resisting Primer, this did sort the problem out although the smell of the primer and the new paint took along time to go completely, this may have been something to do with 11 coats of paint about 5 months. For anybody else having this problem get onto the paint manufacturer and get them to supply the primer and new paint and if you have paid to have it done they should be paying for the redecoration, this is a well known problem in the paint (or coatings) industry, although this seems to be the only place I have found it mentioned. I would agree with Billn's statement for those who have used new paint and have the problems this entails. I think our particular problem was with old stock paint. The wife painted the ceiling, and for a while I was under the impression that it was new paint she had used. Unfortunately for us the tub she opened was over a year old, we had it stored in a cupboard and that was what she decided to use. She didnt tell me there was a dirty coloured water on top that she stirred in.In our case it seems we were at fault. The sealant smell has eased over the last four days and no smell of the old 'cat urine' smell at all. I have just applied the first coat of Dulux to it (the pink one that goes white when it dries) Tomorrow i shall apply the second and last coat before allowing a week to see what happens. I shall post back in seven days to report ! Same problem for me but I used Wilkos own brand paint. I live in a rented home and I have a cat so must get rid of the cat pee smell or the landlord (and any visitors) will just think I'm a stinky mad cat lady! So do I need to use Akali Resistant primer such as International or Blackfriars or could I use Zinsser Clear BIN sealer? The Zinsser comes in an aerosol container and can be painted over quickly. I'm a bit worried about using the Alkali Resistant primer as I have a 9 year old son, a dog, a cat and a fish tank and I'm concerned over the effect the fumes may have on them. Only used this paint after a massive spring clean to freshen up the place. By rights my home should be smelling lovely and instead stinks of cat pee! I could cry!! Wilcos paint prob made by crown! You could use pva glue also works! Crown are refunding my money never will use crown! Breath easy range what a joke! Sorry can you just clarify....did you use silk paint over the smelly paint and then paint with Dulux and the smell has now gone? Or was it the silk paint that smells and you've painted over with Dulux to get rid of smell? 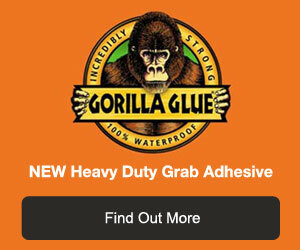 How would I use PVA glue? Would I mix it with anything first? Sorry for all the questions but its really getting me depressed now and Im kind of resigned to using the alkali resistant primer but just worried about the fumes. I've tried spraying walls with white vinegar/bicarb of soda/lemon juice/febreeze. Nothing works! Right smell has came back I used silk to cover 1 month stayed away now back! I can't use strong stuff because asthma ! I'm going to use pva glue then emulsion. I so hate this smell! Hi fellow sufferers, I am also another smelly paint victim!!! Last year we painted our back bedroom which is south facing with Johnstones paint.Within 6 weeks the room started to smell really bad of gas, to the point we called the gas board like other people on this forum. Having discovered this forum I then contacted the paint company who sent out a rep. Sods law the rep came on a day when it was not sunny so the smell was not bad. However he did say he had come across this problem in a very similar house whereby the paint reacted to the wallpaper and paste underneath and gave off a smell when the room got sunny. Whilst not admitting liability, they gave us primer and a new pot of paint and said that would cure the problem. For the last 8 months the smell did seem to go. Today is the first sunny day of the year, and you guessed it, that awful smell is back again. Not as bad as it was before but I can smell it. What is the solution now? Do we re prime it and paint again, or do we remove all the wallpaper and start from scratch? The property is an old one which has woodchip wallpaper on the wall, and the rep implied that it was the old wallpaper that was causing the problem. However, no other room in the house has this problem. Any advice greatly appreciated as it is my sons bedroom and I am not happy for him to be in the room if that awful smell comes back, despite the fact we have been advised there is no health risks. From researching this problem it does seem like Johnstones is one of the main culprits. What primer did they give you to use? From what I'm reading it needs to be an alkali resistant sealer primer. Some have suggested Zinsser BIN as an alternative and someone else used an oil based undercoat. I'm just trying to find out what is best and whether the smell comes back after time. we are going through the same problem at the moment. we got the entire house repainted in March. Four rooms with Dulux - no problems at all. Three rooms with Crown - one room the day after painting started stinking again we thought we'd a gas leak. Eventually figured it out it had to be the paint, contacted Crown and rep called to house. Said we'd have to re-paint using the sealant and two coats of paint and we would be reimbursed the cost of getting the painter to do this work - still waiting to be refunded. Room smelled ok for about three or four days but now we have a chemical smell (hard to describe) in the bedroom, no way I'd let anyone sleep in there. Our sitting room was initially ok but starting smelling two weeks ago, again smell comes and goes. Windows open make it worse etc.. Rep called again and said it will have to be repainted again both rooms. The hall so far isn't smelling but not holding out much hope that it won't if weather gets warmer. All rooms had the same base paint so it interesting that the Dulux didn't react at all. I don't believe the walls are to blame. It has to be the paint. I'm so sorry I've ever used Crown paints, smell has ruined our house. Waiting on rep to get back to me to see when (if ever) they will organise a decorator to repaint. Not putting Crown paint up with the repaint, will use Dulux. Lucylu79 what sealer did you use? It was sealant crown provided so I assume it was their stock. Crown have arranged for painter to come next week and put sealant and repaint rooms with Dulux paint so hopefully that will sort it. The bedroom has already been repainted once so we'll see what happens. It has been eight days since we applied the new Dulux over the top of the sealant. We have had a fair bit of warm weather, and am happy to report that the cat urine type smell has gone, just a very very faint whiff of the sealant left. I think we have cured it. good luck to everyone else!